The "apostle of the north" (Scandinavia) had enough frustrations to become a saint—and he did. He became a Benedictine at Corbie, France, where he had been educated. Three years later, when the king of Denmark became a convert, Ansgar went to that country for three years of missionary work, without noticeable success. Sweden asked for Christian missionaries, and he went there, suffering capture by pirates and other hardships on the way. Fewer than two years later, he was recalled, to become abbot of New Corbie (Corvey) and bishop of Hamburg. The pope made him legate for the Scandinavian missions. 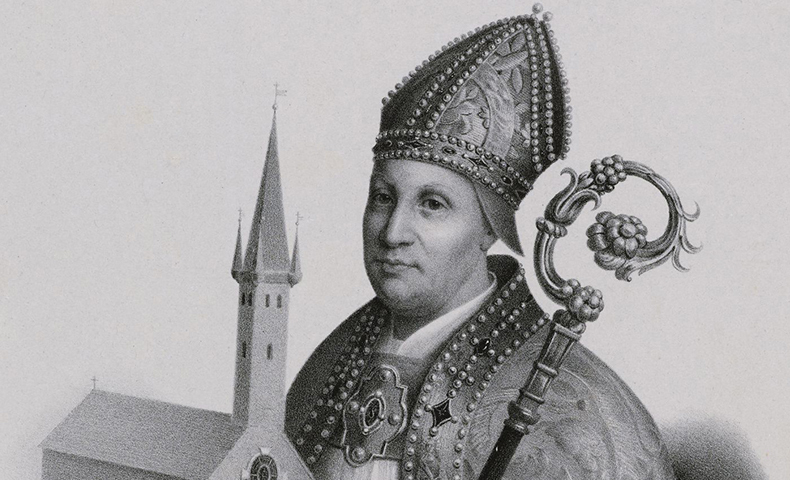 Funds for the northern apostolate stopped with Emperor Louis's death. After 13 years' work in Hamburg, Ansgar saw it burned to the ground by invading Northmen; Sweden and Denmark returned to paganism. History records what people do, rather than what they are. Yet the courage and perseverance of men and women like Ansgar can only come from a solid base of union with the original courageous and persevering Missionary. Ansgar's life is another reminder that God writes straight with crooked lines. Christ takes care of the effects of the apostolate in his own way; he is first concerned about the purity of the apostles themselves.